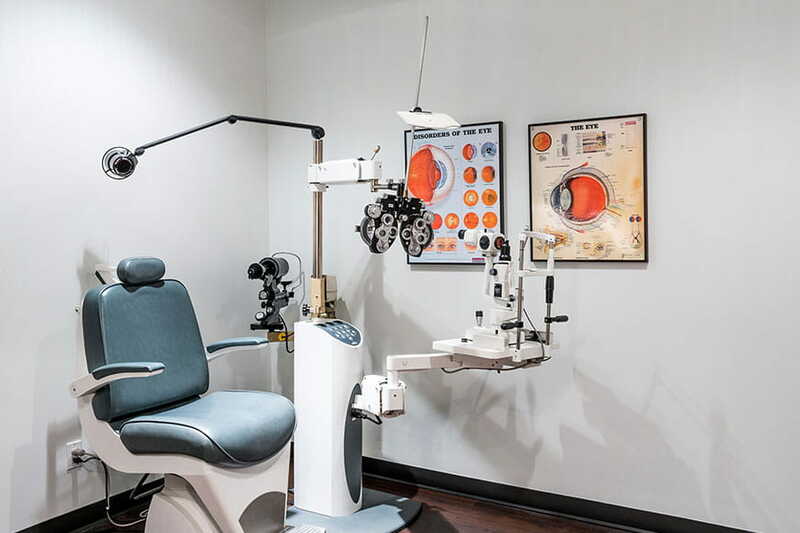 Our optometrists are expertly trained to evaluate and treat any eye condition. They are passionate about using the most innovative eye care technology to improve eyesight clarity, enhance vision, and promote future eye health. Book your next eye exam in Edmonton with one of our five eye doctors. Our extended hours in the evenings and weekend means you won’t have to wait long to get your new pair. It all starts with calling us or booking your eye exam online today! Call Londonderry Eye Care today, 780–476-7631. We are located in Londonderry Mall in Edmonton, Alberta. Schedule your eye exam with us today! Our full service clinic employs five doctors ready to serve you, and our inventory includes over 4,000 frames from 50 brands! Londonderry Eye Care is a community of experienced, caring optometrists in Edmonton. With over 40 years of excellent customer service, Londonderry Eye Care offers a wide range of optometry services including one of Edmonton’s largest designer eyeglass collections. Whether you are getting an eye-exam or browsing one of our 4,000 designer frames, we have you covered. Need a new pair of glasses or contact lenses? Purchase a pair of our competitively priced brand name glasses at Londonderry Eye Care. Our seasoned professionals will support you as you pick the perfect pair of glasses or sunglasses from our large selection of fashionable designer frames.